Saddles are always an extremely personal issue, and what's comfortable to one rider might be torture to another. 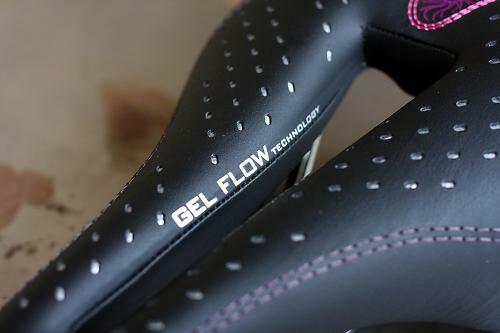 The Selle Italia Diva Gel Flow saddle is, however, one of the most widely rider-recommended saddles I've ever come across, and trying it out, it's easy to see why. It's comfortable, flexible, light and it even looks good too. Straight off it's easy to see that this is a high quality saddle. The top is made from full grain leather and is nicely finished as well as attractively designed, sitting just the right side of feminine rather than being overtly girly. There's a substantial cut-out in the middle, and it's crammed with gel and other padding for a comfortable ride. The width is 152mm, which isn't the narrowest and might not suit hardened racers, although I do personally know a multiple medal winning track cyclist who never races on anything else! 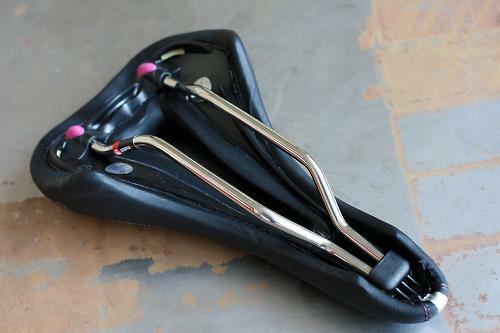 Those looking for a narrower option might want to investigate Selle Italia's SLR Lady Flow instead, at 131mm wide. The rails are made from 7mm Vanox tubing. It's neither the lightest nor the most aggressive saddle, but out on the road (or off – Selle Italia markets this saddle as suitable for either) the Diva Gel Flow really is a winner in the comfort department. Despite the fairly broad rear (the saddle, not mine), which is broader than I would normally ride on, there was sufficient flex in the wings that this was not a problem and led to a very comfortable and natural feeling ride motion. The body of the saddle and the nose are plenty supportive enough for all distances of ride, and cope well with a variety of riding positions too. Price wise, this sits somewhere along the continuum of performance saddles, but it's far from being at the super-expensive end, and marks really good value for money for female riders intending to go out for long periods of time. There seems to be a very good reason for all the positive chat about this one! For female riders - a women-specific saddle for any style of riding or bike. Selle Italia says: "Selle Italia's DIVA has a shape that is perfect for the female anatomy and posture. With its unique streamlined shape and sporty style, DIVA is the perfect high performance comfort saddle for women. "For women who ride leaving no one behind." Extremely well made from very high quality materials. Performed exceptionally well on a variety of different bikes with different riding positions. Should last for years, particularly if you look after the leather cover with some leather treatment now and then. Not the lightest, but far from being a heavyweight for its levels of comfort. Superb levels of comfort for a variety of riding styles and distances. Very good value considering quality and levels of comfort and also versatility for use on a variety of bikes if you like to swap around. Did you enjoy using the product? Very much. A surprising amount considering it's broader than my usual choice of saddle. Many women recommend this saddle and now I know why. Comfortable, supportive, attractive and well made. Womans cycling kit continues to keep its sexist approach going. A bit harsh, it's not just badge swapping. I have the male one. It's a fantastic seat, this one may have pink, but it's also a different shape. Nonsense. The saddle is actually both wider and shorter than an average male saddle, and comes with a different shape-padding, wider nose. Almost has zero in common with a male saddle.. So, it's not just the pink. See the same with REAL women frames: shorter reach, longer headtube, most women bikes have shorter-shallower-narrower handlebars, different head-seat tube angles... 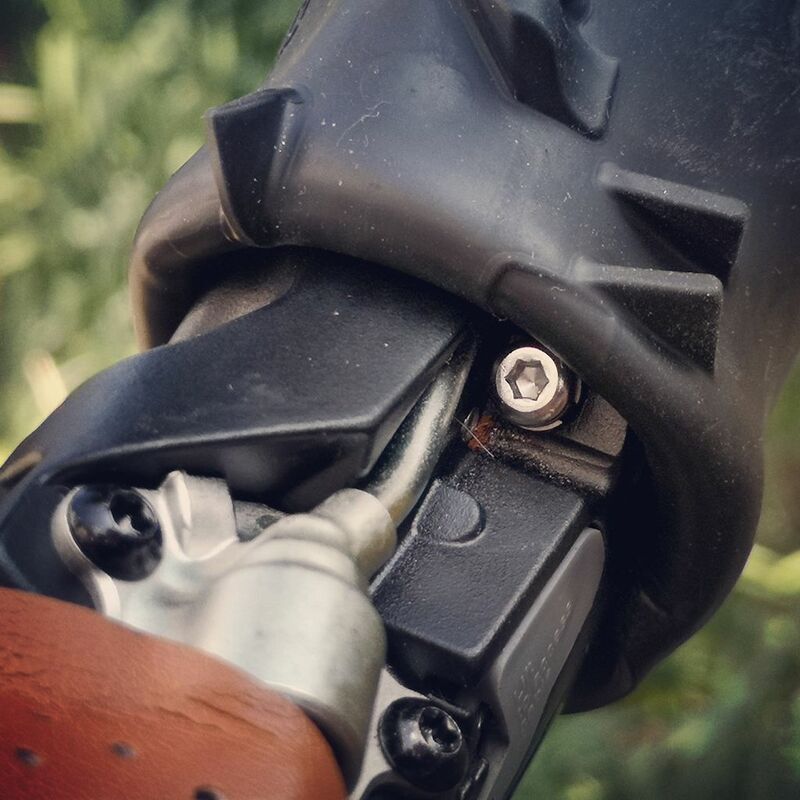 Sometimes the brake-shift lever units are equipped with inserts to reduce the reach to brake levers..
so REAL women specific bikes do exist, and this saddle seems like a female specific model also. Also - the saddle may well be designed for the female shape but why does that mean it is ok to stick some pink on it and give it a delightfully patronising name? Do companies really think this makes women squeal with delight?! My wife and a couple of her friends have upgraded to these and are very pleased with them. Which reminds me why reviewing saddles is like juggling potatoes, mildy amusing but ultimately pointless. just bought one for my wife as 96% of 440 female Wiggle customers would recommend this to their friends - I regard that as a better reference point. I also had this saddle & I concur, its dreadful. I swapped it out for a Fizik Arione Donna K:ium & have never been happier But saddles are a very personal choice, each to their own I say. Went with my wife to a very interesting talk by Chris Garrison (@PunkassCG on Twitter) - she's the brand manager for Trek/Bontrager in the UK. She's very into getting people onto properly fitted bikes and definitely not into "shrink it and pink it". There was a lot of talk around proper saddle fitting and the main point is that there's no perfect saddle, everyone's different and width of sit-bones and the position of your "bits" will mean that the saddle your mate raves about is agony for you. With a lot of manufacturers and shops offering 30 day trials on saddles you really should try a few different ones to find the perfect match for you. Better still, get a proper bike fitting and look at the saddle as part of that process.